This model monograph is the first scholarly study to put the Ainu—the native people living in Ezo, the northernmost island of the Japanese archipelago—at the center of an exploration of Japanese expansion during the seventeenth and eighteenth centuries, the height of the Tokugawa shogunal era. Inspired by "new Western" historians of the United States, Walker positions Ezo not as Japan's northern "frontier" but as a borderland or middle ground. 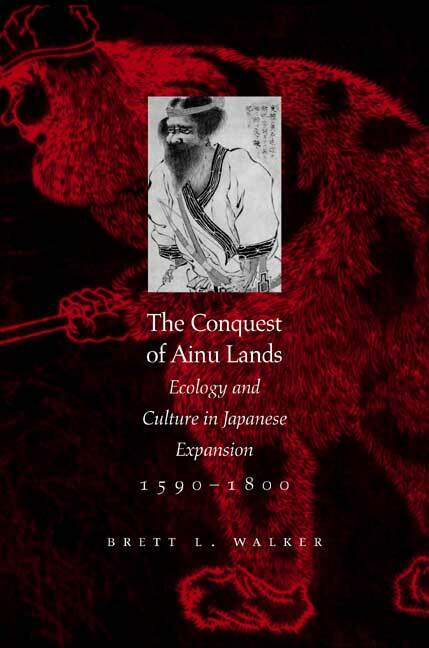 By framing his study between the cultural and ecological worlds of the Ainu before and after two centuries of sustained contact with the Japanese, the author demonstrates with great clarity just how far the Ainu were incorporated into the Japanese political economy and just how much their ceremonial and material life—not to mention disease ecology, medical culture, and their physical environment—had been infiltrated by Japanese cultural artifacts, practices, and epidemiology by the early nineteenth century. Walker takes a fresh and original approach. Rather than presenting a mere juxtaposition of oppression and resistance, he offers a subtle analysis of how material and ecological changes induced by trade with Japan set in motion a reorientation of the whole northern culture and landscape. Using new and little-known material from archives as well as Ainu oral traditions and archaeology, Walker poses an exciting new set of questions and issues that have yet to be approached in so innovative and thorough a fashion. Brett L. Walker is Assistant Professor of History at Montana State University, Bozeman.